Metrici LPR is a 100% Romanian software solution. 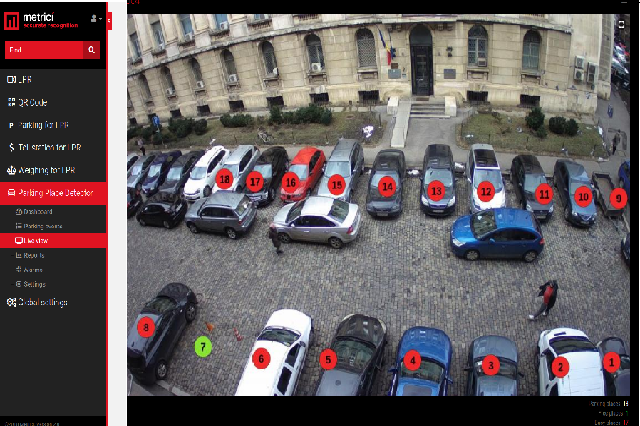 It was at first a license plate recognition solution and now it integrated many more offers and features addressing parking lots, transport businesses, retails, industrial parks, local authorities, police etc. Is it possible to install the software on a parking lot with one barrier and two cameras? Our basic solution is specially meant for this type of installation. One can have special attention when setting the features of the software, e.g time to ignore a license plate when viewed twice. Metrici LPR can work with any type of IP cameras, but for best results, we recommend using specialized IP cameras designed for license plate recognition. Does the software work in any circumstances? No, it doesn't. The software is an artificial intelligence example that can adapt itself to many situations but has limitations. There are standard for placing the detection cameras so as not to affect the quality of the recognition. Also the quality of the hardware used can compromise the detection. Please read the manual for best installation. Does it work with any barrier/gate/access control solution? Metrici LPR can work with any access control gates and can command any type of device for a action. Where I can use Metrici LPR software? See section case studies and inspire from there. Only your imagination can be the limit of where to use this software solution. Besides the installation already made, one can use this solution for car counting, clients awarding, employee tracking (time spent on the route), traffic flow, data management. License plate recognition systems (LPRs) use optical character recognition (OCR) algorithms to allow computer software to read vehicle license plates. The systems are also known as automatic license plate recognition systems, or ALPR, automatic number plate recognition ANPR. Go to downloads section and see the last saved version, downloaded and install it. Check if you added camera to locations. Have you noticed the authkey and ID generated? Fill them in Metrici Control Panel camera settings. See the manual for better understanding. It doesn't detect any plates? Check if you have set a detection window and if the number is not in that window, check the dimension of the plates. Is the image focused? Is the fps right for your scenario? The software keeps restarting... Why? I bought the program, but I can not use it properly. Do you give trainings? First of all, you should consult the manual and read it carefully. It has all the information needed to operate successfully this software solution. If you continue having problems, please write us with the specific troubles you have. Where can I found out information about prices and installation? The best solution for you is to contact one of our distributors. They will be able to offer you a personalized offer depending on the complexity of your installation and location. As for installation you can find all the useful data in user guides. Read the manual regarding the camera. For best results, camera should not have an inclination of no more than 20 degrees from the vertical/horizontal. More explanations can be found in the detailed user guides in section downloads. How a car must be seen so the lpr engines work correctly and have a no mistake detection? Car license plate numbers size must not be less than 200 px. Or generally speaking, a car must take up at least 1/3 of the total area of the screen. Truck - at least 1/2. Until which speed a detection is possible? This feature depends on camera settings and capabilities. The most important are the focus and shutter speed. With a good camera and a good placement, detection is possible at even 250 km/h. But the key here is a good camera placement and settings, otherwise you will have distorted images even if the car is parked. For this please read the manual regarding camera settings. What if I want a customized function? We are always ready for the client wishes and many of today' features were introduced at clients' requests. Does the system work at night? Yes. The system is working properly even at night with proper IR o illumination. In which operating systems the software works? You can find this information in datasheets, in download section. The requirement depend on number of cameras used. Is it possible to reinstall the program to another computer? No. The license is only for one computer. In case of reinstallation you will need another key. What is the cost of software updates? By purchasing the program, you will grant access to all the upgrades that will be released within 1 year from your purchase. After this time the updates will cost half the price of the acquisition program. I have a CCTV camera installed. Can be used for LPR? 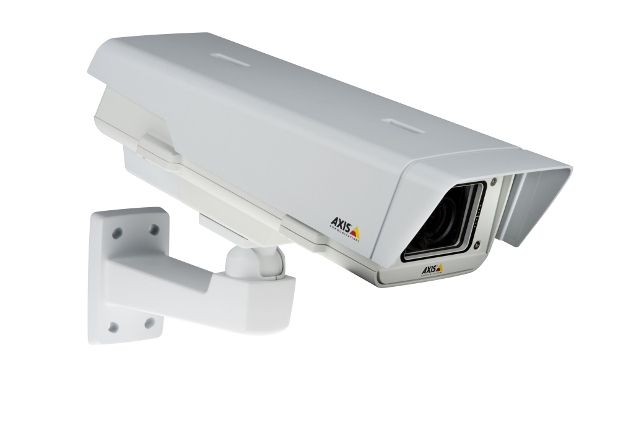 Whilst CCTV cameras can record events, they are not designed to capture specific information for any given setting. LPR cameras are designed to read and capture number plates at varying distances and then refer that information back to a software system. Generally, LPR cameras are meant specifically for this type of monitoring. Does the system keep a photo of me and my plate? The system does not take photos of the driver and does not record such data. Why are LPR cameras more expensive than CCTV cameras? These type of cameras are a niche market and require higher pricing because of their additional features. No, you don't need a dedicated video card for using Metrici LPR. If you acquired the servers from us. Why is the software only sold thorough partners and not direct by the developpers? 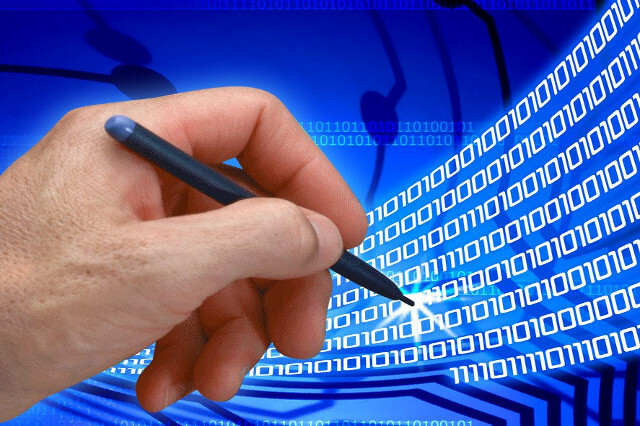 Our software systems require tight contact between the end-user and the direct installer of the product. 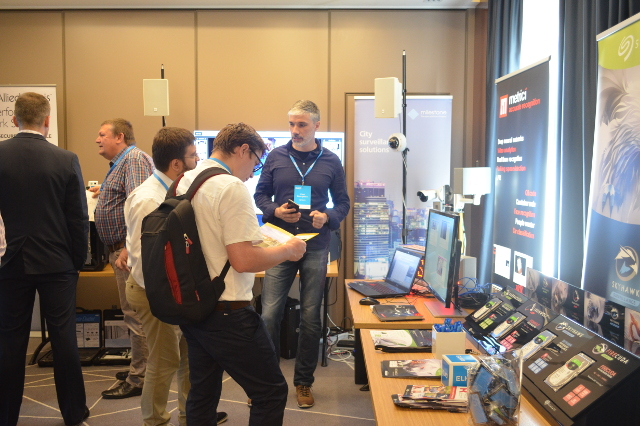 Due to the fact that most users are not experienced IT-sector specialists, many of them experience a large number of questions connected with the initial installation and set-up of the program software and integration with the hardware: cameras, loops, triggers, lasers and many more. In order to increase the number of end-users and their satisfaction, we deploy a network of regional partners. What are the Weaknesses of the LPR?